No matter what you cook, every recipe is improved by the use of fresh organic fruits, vegetables, or herbs. With the New Kitchen Garden, your menu needn't be dictated by the whims of your local grocery store. Award-winning gardener Adam Caplin shows how easy it is to create your own kitchen garden, even if all the space you have is a small patio or rooftop. Acclaimed food writer Celia Brooks Brown then takes you from out in the yard to in by the stove with 35 special recipes to turn your fresh produce into a satisfying meal. 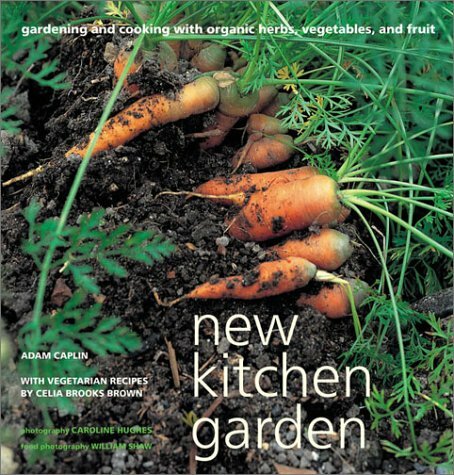 Whether you're a would-be cook who likes to garden, or a cook who'd like more control over your ingredients, New Kitchen Garden offers more than just food for thought.